Who would have thought that breakfast itself could be an adventure? 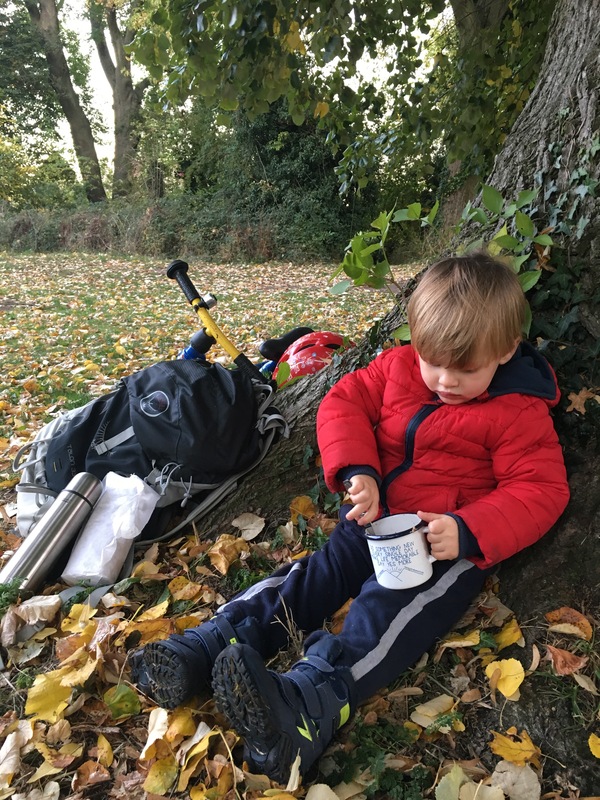 But you know what, a quick bike ride and a couple of alfresco Weetabix later and Oskar and I have already had a microadventure; we have a story to tell, some funny events to laugh about together, and it’s not even 9am! When I peeked out of the curtains this morning I could see it was going to be one of those stunning autumnal days: bright blue skies, warm sun and cold cold cold air. Gorgeous. Too good to stay indoors. 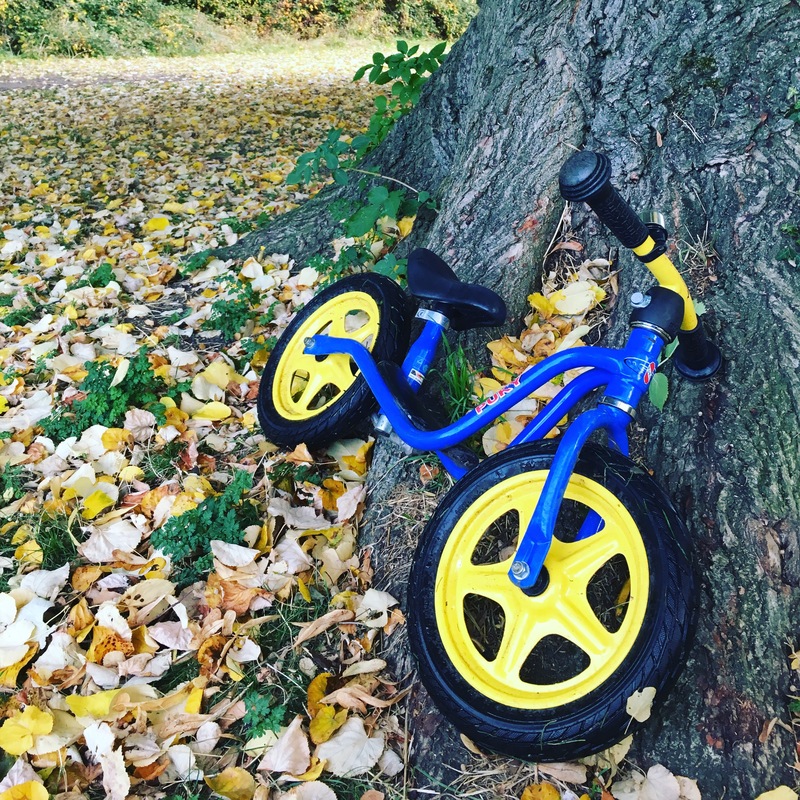 So Oskar and I got dressed quickly, warmed up some milk, made me a flask of tea, grabbed some Weetabix and a couple of cheeky croissants and headed to the park, Oskar on his bike and me walking. 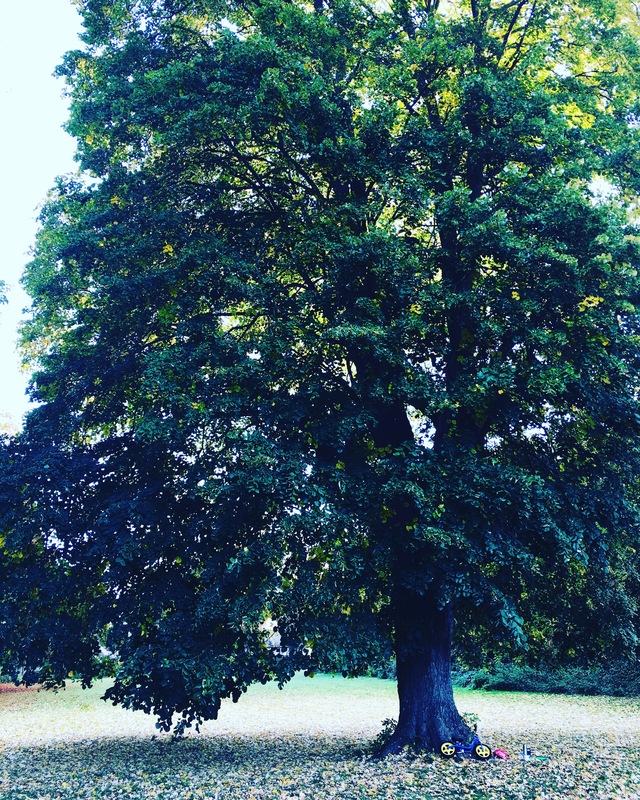 Oskar chose the tree that he wanted us to dine under – the biggest one he could find, near to the river. We sat down on the carpet of leaves, snuggled in, leaned against its huge trunk and unpacked our brekkie. 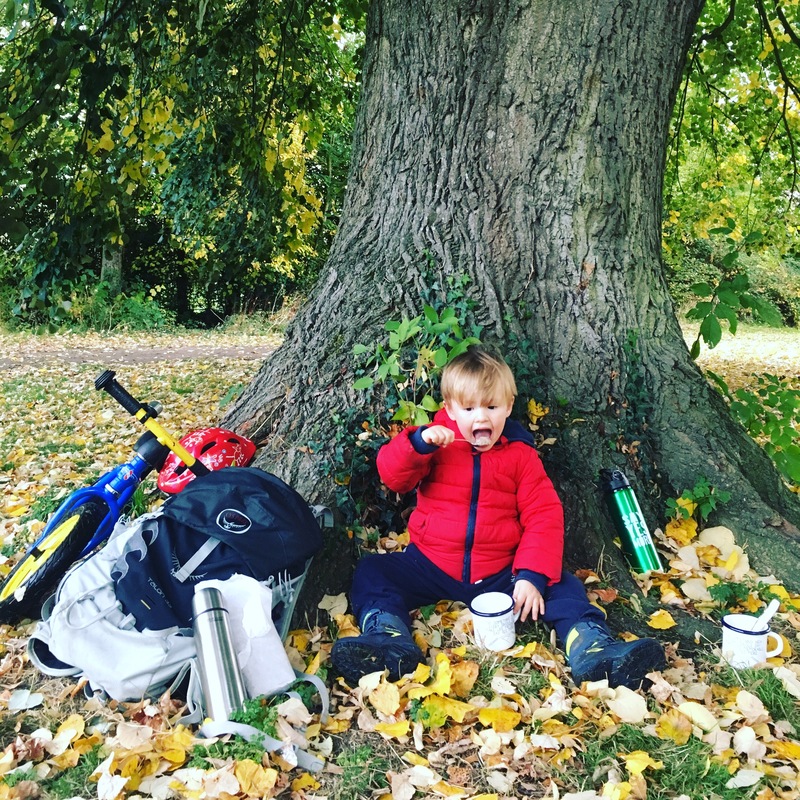 We had our Weetabix in our favourite camping cups of the moment (our Yestival cups) and talked about all the things we could see – the endless dog walkers, the cyclists, the moon still in the sky, the rising sun, the conkers everywhere, the different shapes and colours of the leaves, and our next camping trip. The dog walkers all popped over to say hi and we had some lovely conversations and Oskar had some good dog cuddles. Though we have concluded that one cheeky dog must have snaffled my croissant whilst we were busy stroking him, as we never did uncover the mystery of where it vanished to! I spent ages looking in the bag, under all the leaves, in my pockets, around the tree, and even interrogated Oskar as to whether he had eaten it as well as his, but we concluded that it must have been one of our doggy visitors! Oskar then spent some time deciding which one he thought it must have been and we had a good laugh. After our brekkie we did a little walk, collected some leaves and conkers for a spot of arts and craft later, Oskar played on the playground at the other end of the park and then we returned home. It was only 9am and we were both rosy cheeked and smiling. What a brilliant start to the day and so, so simple. Sometimes adventures don’t have to be epic; they are right there on your doorstep. It’s just about doing something different.